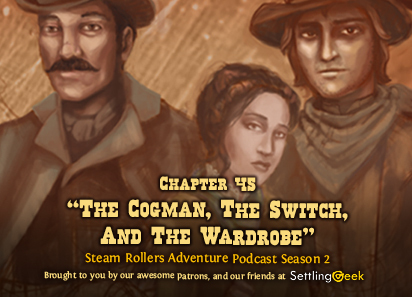 Ep.108 Ch.45 "The Cogman, The Switch, and The Wardrobe"
As Nigel pays his evening visit to the Fesslers, Percy and Connie make a curious discovery on one of the side streets of Marquis de Lafayette. 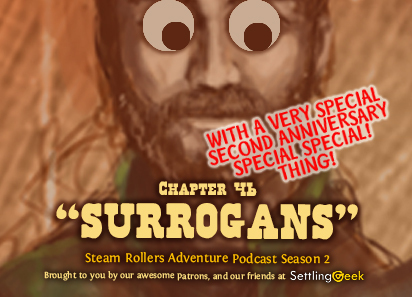 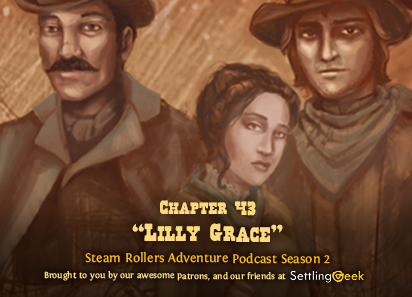 This episode features our first patron-created NPC, “Gregory Brewko,” by Chris Durbak. 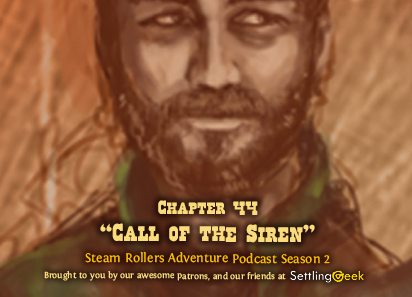 Ep.107 Ch.44 "Call of the Siren"